Bicolor bloom above silvery-gray foliage. 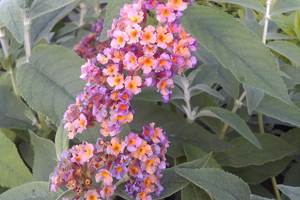 Beautiful coral and lavender bicolor bloom atop silvery-gray foliage. Very unique and fragrant two-tone flower. Rabbit and deer resistant.